Click here for more news on the International Accreditation Service. Click here for more news on ICC Chapters and Regions. 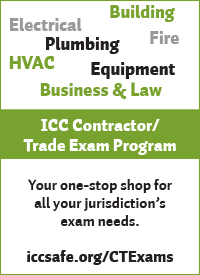 Click here for more news on ICC Education, Certification and Testing. ICC CEO Dominic Sims (at podium) and NAHB Chairman Barry Rutenberg announce ANSI's approval of the 2012 ICC 700 National Green Building Standard during the International Builders Show in Las Vegas. Notable changes impact energy requirements and scoring of remodeling projects. The National Association of Home Builders (NAHB) and the International Code Council (ICC) applaud the recent approval of the 2012 ICC 700 National Green Building Standard. 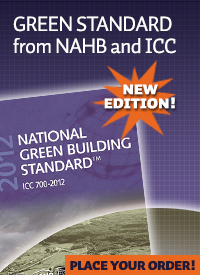 In 2007, NAHB and the ICC partnered to establish a nationally recognizable standard definition of green building. The resulting ICC 700 National Green Building Standard is the first and only residential green building rating system to undergo the full consensus process and receive approval from the American National Standards Institute (ANSI). This is the first time the standard has undergone Consensus Committee review and update since it was published in 2009. "The introduction of the 2012 National Green Building Standard is a huge deal for our industry," said NAHB Chairman Barry Rutenberg, a home builder from Gainesville, Fla. "Not only does the updated version raise the bar on energy efficiency requirements, but it also completely revolutionizes how renovations and remodeling projects are treated under the standard. The 2012 updates make the standard easier to understand and implement, and we expect that this will certainly help to build upon the momentum we are already seeing in green building across the residential building industry." To date, the standard has been widely implemented throughout the industry. The NAHB Research Center, which serves as the secretariat of the standard as it progresses through ANSI, has certified the compliance of thousands of dwelling units and developed lots to the ICC 700. Dozens of regional and local green initiatives refer to the standard within their program criteria. The International Green Construction Code (IgCC) requires compliance with the ICC 700 if a jurisdiction chooses to regulate residential buildings four stories or less in height, except that Group R-1 residential occupancies of all heights are always required to comply with the IgCC. •	Energy Code Update: While the original ICC 700 used the 2006 version of the International Energy Conservation Code (IECC) as a basis, the new version will use the 2009 IECC. The requirements of the 2009 IECC are estimated to result in energy efficient performance that is about 15 percent higher than the previous 2006 code. •	Restructured Scoring for Remodeling: The new version completely revamped the scoring for renovations and remodeling projects. 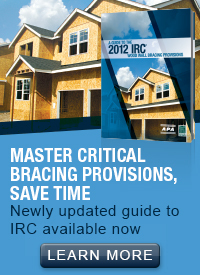 The revised standard includes two entirely new chapters devoted to existing building projects. The first provides criteria for entire buildings and includes requirements for improved energy and water efficiency that increases as higher levels of compliance are sought. The second provides a green protocol for the most common renovation and addition projects that focus on functional areas of a home such as a kitchen, bathroom, basement, or addition under 400 square feet. •	Incentives for Development and Lot Design: The 2012 ICC 700 includes the addition of a new scoring opportunity for those choosing the build lots in green communities. In the new version, six points can be earned in the Lot Design, Preparation and Development chapter for choosing lots in developments that have been certified to ICC 700 or an equivalent program. In the previous version of the standard no such incentives were provided. 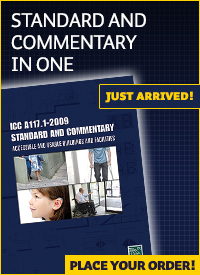 To order the standard from ICC, please visit www.iccsafe.org/700_2012_NR, or call 800-786-4452. Public invited to join industry professionals in ICC/UL standard development. 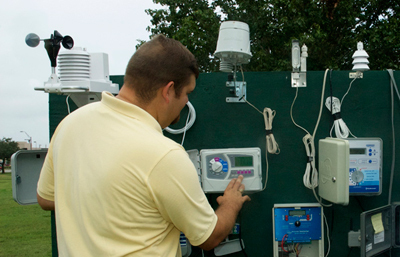 The International Code Council (ICC) and Underwriters Laboratories Inc. (UL) jointly will develop a new ANSI standard—Devices to Control and Operate Automatic Landscape Irrigation Systems—to ensure the basic safety and function of landscape irrigation controllers. UL and ICC will invite industry stakeholders and the public to participate in the standard's development and apply to be part of UL's Technical Panel. The panel will be responsible for the development of the new standard. The new standard will complement and support landscape irrigation provisions found in the 2012 International Green Construction Code (IgCC) other codes, standards, rating systems and local legislation, according to ICC Senior Vice President of Technical Services Tom Frost, and ICC Executive Vice President and Director of Business Development Mark Johnson. 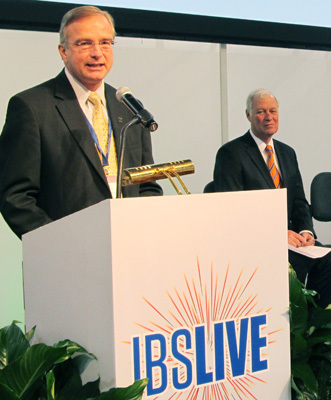 "UL looks forward to working with ICC and the residential sprinkler controller industry, each bringing the strengths and knowledge necessary to develop a joint standard for residential sprinkler controllers that will complement codes," said Don Snyder, Director of Standards for UL. The standard, in part, will address the importance of safety in electrical devices in landscape irrigation controllers. The new standard will establish a basis to ensure the safety, function and durability of common electrical devices. Interested stakeholders can get involved in the process through the development and review of draft documents, providing feedback and participating in working groups. Those who serve on the Technical Panel will also be able to vote on ballots for the final approval of the new ANSI standard. "Most participation will take place online or via conference calls, along with in person meetings," said Deborah Prince, Standards Technical Panel (STP) Chair at UL. "In the next couple of months we will hold our joint standards technical panel kick-off meeting." To be included on the contact list or to apply to participate in the Technical Panel, contact Prince at deborah.r.prince@us.ul.com or (919) 549-1460. Call for Development Committee experts for ANSI Rainwater Collection Standard. The International Code Council has announced a call for Standards Development Committee members to continue development of an ANSI standard dedicated to rainwater collection and conveyance systems. The project title ICC 805, Standard for Rainwater Collection System Design and Installation, began in April 2011 when ICC filed a Project Initiation Notification System (PINS) with the American National Standards Institute. During the PINS phase, a public announcement notified all interested parties and stakeholders of ICC’s plan to develop a standard and asked for comments or identification of other standards developers that may have an interest in this area. No overlapping projects were identified within the ANSI specified period. The Code Council has made great progress in its commitment to the safe use of rainwater through the development of code provisions to protect water resources. The International Green Construction Code (IgCC) was completed and made available for adoption in March of 2012. It includes a robust section on water efficiency and conservation. In the 2012 Code Development Cycle, ICC Members and industry stakeholders worked to develop comprehensive non-potable water provisions covering sources like rainwater, graywater and reclaimed water provisions to support a comprehensive strategy. These groundbreaking provisions have been added to the 2015 edition of the International Plumbing Code, due out soon. Building on these efforts, ICC is continuing to move forward with resources that will facilitate expanded application of rainwater harvesting systems, and ensure the preservation of health and safety while saving water. 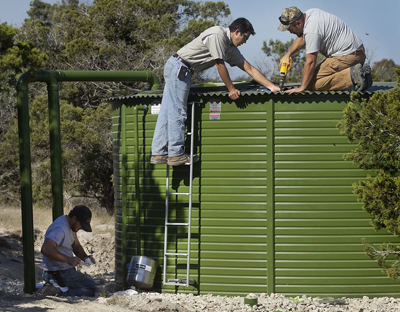 ICC Standard 805 will apply to the design, installation and maintenance of rainwater collection systems intended to collect, store, treat, distribute, and utilize rainwater for potable and non-potable applications. This is especially important for regions experiencing water shortages and water quality issues. Many jurisdictions are seeking an industry standard to help them develop guidelines and provide a minimal and safe water source in a way that works with their existing codes. Many drought stricken jurisdictions, as well as those wishing to conserve natural resources, have undertaken efforts to provide their citizens with guidelines, codes and best management practices to enable the use of these systems locally. Ensuring the availability of fresh water is a critical issue and rainwater reuse will become an ever more important alternative water source in the years ahead. The ICC and building safety industry are again taking the lead by embracing this effective means of water capture. Rainwater systems make use of a variety of unique devices such as first flush diverters, debris excluders and diverter valves. At present no standards exist in the United States for these devices. Anyone interested in more information, should contact ICC's Mike Pfeiffer; 888-ICC-SAFE (422-7233) ext. 4338. Atlantic City, New Jersey, is set to host ICC Members and other stakeholders attending the 2013 Annual Conference and Group B Public Comment Hearings (formerly called Final Action Hearings). This year's ICC Annual Conference and Hearings will be held Sept. 29 through Oct. 2. NAFA Fleet Management Association Executive Director Phil Russo recently attended a national conference in Atlantic City and told his colleagues the reports of large portions of the Atlantic City boardwalk being washed away simply are not true; the area is open for business and things are back to normal. Designation is the highest level of ICC Certification for demonstrating proficiency in the building and fire safety profession. Twelve individuals earned Master Code Professional (MCP) certifications in the fourth quarter of 2012, joining 34 code enforcement officials last year and more than 775 overall who have earned the Code Council's highest certification since 2004. The achievement of the MCP designation from the International Code Council is the highest level of ICC Certification and has become the gold standard for demonstrating proficiency in the building and fire safety profession. By becoming a Master Code Professional, you can increase earnings and advance your career. The Council has certified thousands of individuals, but only a select number have attained this high-level of achievement. To obtain this level of certification requires and demonstrates commitment to the profession, diverse knowledge of codes and a high-level of self-initiative. Currently, there are more than 700 MCP professionals worldwide, and their achievements are a benefit to the code enforcement profession, as well as their communities. 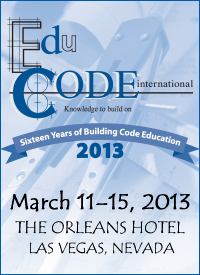 Master Code Professionals at the Code Council's 2012 Annual Conference in Portland, Oregon. These dedicated men and women demonstrate commitment to the profession through achievement of this high level of certification. For decades, the ICC Evaluation Service (ICC-ES) has been the industry leader in performing technical evaluations for code compliance, providing regulators and construction professionals with clear evidence that products comply with codes and standards. Having completed hundreds of evaluations of building products, components, methods and materials, ICC-ES has a proven track record of excellence in product evaluations. This record extends to reports regarding sustainability under standards such as the California Green Building Standards Code (CALGreen), the International Green Construction Code (IgCC) and other green rating systems. ICC Evaluation Service (ICC-ES) applicants and clients have been quick to take advantage of the recently introduced ICC-ES Expedited Service—a service developed to meet their growing market entry needs. ICC-ES clients that qualify for this program can expect turnaround times of no more than six months for new report applications and no more than three months for revisions. Reports evaluated under this service are designated as priority projects and include the same thorough technical evaluation in a condensed amount of time with one main point of contact. 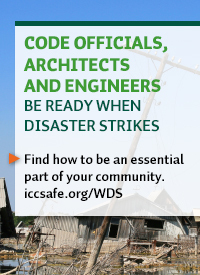 "Our goals are to serve our customers' needs and provide evaluation reports code officials can rely upon to ensure safety in the built environment," said ICC-ES President, Shahin Moinian. "As part of the International Code Council (ICC), manufacturers and code officials recognize that ICC-ES has unique qualifications and expertise in the evaluation of products to determine if they are in compliance with the code." With more than a dozen applications in various stages of the expedited evaluation process, several have already completed their evaluations. Some of the first report holders to be successfully evaluated under this new program are: National Coatings Corporation (ESR-2140); Master Wall, Inc. (ESR-1181); KP Building Products (ESR-1517); Kaycan, Ltd. (ESR-1495); Boral Roofing, LLC (ESR-3496); Hayes Specialty Machining, Ltd. (ESR-1356) and FSR Treatment, Inc. (ESR-1410). To find out if your product qualifies for the expedited service, contact Michael Temesvary, ICC-ES Director of Sales at 1-800-423-6587 ext. 3877 or mtemesvary@icc-es.org. Plumbing product manufacturers wanting to distribute in India are eligible for a free ICC-ES Plumbing, Mechanical and Fuel Gas (PMG) Listing to the UPC-India when they list their products with ICC-ES to the requirement of the U.S. Plumbing Codes, or transfer an existing listing to ICC-ES. This new program will allow manufacturers to expand into the growing plumbing products market in India. "Manufacturers now have the option of cost-effective, efficient PMG listings that verify code compliance to the UPC-India," said Dawn LaFleur Qualley, ICC-ES PMG Senior Program Manager. "Our goal is to deliver the best service and technical evaluations of PMG products while continuing to offer affordable listings." To find out if your plumbing product qualifies for a free listing to the UPC-India, contact ICC-ES at 1-800-423-6587, ext. 7643, or by e-mail at espmg@icc-es.org. As a subsidiary of the International Code Council, the ICC-ES PMG Listing Program is backed by the knowledge and expertise of the Code Council's global activities, and industry alliances in safe drinking water and sanitation improvements. ICC-ES PMG also offers a full range of certification activities for both the United States and Canada. When applying for an ICC-ES PMG listing, ICC-ES can also certify products to AB1953, Annex G of NSF/ANSI 61, S.3874 (Federal Law for Reduction of Lead in Drinking Water) and the requirements of WaterSense at no charge. The ICC-ES Evaluation Committee will meet February 12-14 in Birmingham, Ala., to consider new proposed acceptance criteria (AC) for alternate products and for products where additional clarification is needed in the code; and for existing criteria that need to be revised to reflect current code, updated standards or changes to products. Seventeen separate AC items will be considered, with topics ranging from Proprietary Wood Preservative Systems to Fasteners Power-Driven into Concrete, Steel and Masonry Elements. 1. AC326 — Proposed Revisions to the Acceptance Criteria for Proprietary Wood Preservative Systems — Common Requirements for Treatment Process, Test Methods and Performance. 2. MISC1 — Determining Thermal Resistance of the Air Space in a Stud Cavity Using ASTM C1363. 3. AC442 — Proposed New Acceptance Criteria for Spray-applied Sealants. 4. AC368 — Proposed Revisions to the Acceptance Criteria for Suspended Ceiling Framing Systems. 5. AC449 — Proposed New Acceptance Criteria for New Millennium Flex-Joist, R-Series. 6. AC385 — Proposed Reinstatement (with revisions) of the Acceptance Criteria for Special-purpose Sprinklers Used with Fixed Glazed Assemblies to Provide a Fire-resistance-rated Wall Assembly. 7. AC434 — Proposed Revisions to the Acceptance Criteria for Masonry and Concrete Strengthening Using Fiber-reinforced Cementitious Matrix (FRCM) Composite Systems. 8. AC47 — Proposed Revisions to the Acceptance Criteria for Structural Wood-based Products. 9. AC120 — Proposed Revisions to the Acceptance Criteria for Wood-frame Horizontal Diaphragms, Vertical Shear Walls and Braced Walls with Alternative Fasteners. 10. AC201 — Proposed Revisions to the Acceptance Criteria for Staples. 11. AC116 — Proposed Revisions to the Acceptance Criteria for Nails and Spikes. 12. AC450 — Proposed New Acceptance Criteria for Intumescent Fire-resistant Coatings Field-applied to Prefabricated Wood I-joists. 13. AC14 — Proposed Revisions to the Acceptance Criteria for Prefabricated Wood I-joists. 14. AC232 — Proposed Revisions to the Acceptance Criteria for Anchor Channels in Concrete Elements. 15. AC308 — Proposed Revisions to the Acceptance Criteria for Post-installed Adhesive Anchors in Concrete Elements. 16. AC446 — Proposed New Acceptance Criteria for Cast-in Specialty Inserts in Concrete. 17. AC70 — Proposed Revisions to the Acceptance Criteria for Fasteners Power-driven into Concrete, Steel and Masonry Elements. ICC-ES will present a live webcast of its February Evaluation Committee meetings to allow industry professionals to view live video from the hearings and to bring the acceptance criteria process to those who could not attend in person and wanted to view discussions of pertinent agenda items. People who view the live webcasts range from engineering professors and students to international guests. ICC-ES Evaluation Reports are the leading building industry resource to verify that innovative building products, systems and materials are up to code. ICC-ES Evaluation Reports on code compliance provide comprehensive technical evidence that products and systems meet code requirements. Parkland Plastics, Inc.; Hunter Panels, LLC; MKT-Metall-Kunststoff-Technik GmbH & Co. KG; GAF; W.R. Grace & Co; Hexcel Corp.; Omega Products International, Inc.; Hal Industries, Inc.; and Boral Roofing, LLC are just a few companies that received ICC-ES Evaluation Reports in December 2012. View the complete list of recently published Evaluation Reports on innovative products. Each list includes the report number and name of the product(s) recognized for code compliance. The International Accreditation Service (IAS) provides objective evidence that an organization operates at the highest level of ethical, legal and technical standards. IAS is a nonprofit, public-benefit corporation that has been providing accreditation services since 1975. IAS accredits a wide range of companies and organizations, including governmental entities, commercial businesses and professional associations. IAS accreditation programs are based on recognized national and international standards that ensure domestic and/or global acceptance of its accreditations. 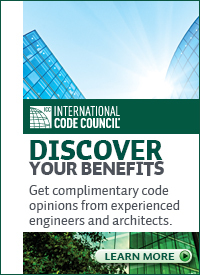 International Code Council Members who reside and work outside of the United States will be better served by the association's recent move of its Global Services Division to the International Accreditation Service (IAS), an ICC subsidiary. ICC Global Services will be a distinct division within IAS. "The transition aligns ICC's ambitious global objectives with the successful business acumen of IAS to promote building safety and sustainability worldwide," said ICC Board President Ronald Piester and CEO Dominic Sims in a joint statement. "This move will allow us to reach more of our global Members and stakeholders in a smart and sensible way, ultimately strengthening ICC's position in the international building safety market." IAS is an internationally recognized accreditation body and a nonprofit, public benefit corporation. IAS works with regulatory agencies as well as public and private industry in 26 countries around the world. ICC Global Services provides coordination and collaboration in technical and institutional assistance to the building safety global community. 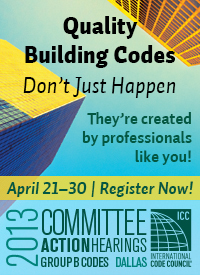 Under guidance of the ICC Global Membership Council, the new division will work cooperatively with other ICC departments and subsidiaries to provide assistance in building code regulations, education and training, certification, code administration, code compliance, and conformity assessment programs such as building product certification. "ICC is committed to promoting safe building construction and to working with economies worldwide to enhance regulation and code compliance mechanisms to increase the effectiveness of building codes and their role in disaster risk reduction and efficient use and sustainability of natural resources," said IAS President Chuck Ramani. Raj Nathan, IAS Vice President of Operations, will serve as Head of ICC Global Services. He has a bachelor's degree in electrical engineering and a master's in industrial and management systems engineering from the University of Nebraska at Lincoln. He is a leading expert in international conformity assessment practices and serves as a lead evaluator for the Asia Pacific Laboratory Accreditation Cooperation. His international operational and business experience has enabled IAS to grow its client services in 30 countries. He has led technical and engineering teams to China, Far East, Middle East, Europe, and Central and South America. Nancy Libby, IAS Manager of Administration, will serve as Program Manager of ICC Global Services. She has more than three decades of experience and completed ISO 9001:2008 auditor training. 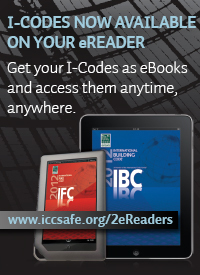 For more information about ICC's new Global Services Division, visit: www.iccsafe.org/Global or contact: Raj Nathan at rnathan@iccsafe.org or +202-370-1800. 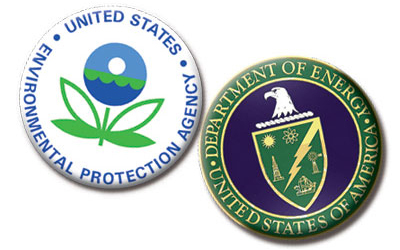 Energy efficiency guidelines set by federal agencies is driving growth in the conformity assessment sector resulting in an increase in applications for accreditation to IAS in several program areas especially from testing laboratories and product certification agencies. The goal of the federal "Energy Star" program is designed to implement the current administration's mandate for increased energy efficiency by consumers. In one such program called "Lighting Facts," the U.S. Department of Energy teamed up with the U.S. Environmental Protection Agency to increase the efficiency of consumer lighting products. 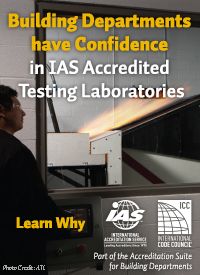 IAS plays an important role in providing services to meet the accreditation needs of laboratories and product certifiers that service energy-related industries. If your organization is involved in testing or certifying products in the field of energy efficiency, please contact IAS Energy Star Program Manager Hershal Brewer, or call IAS at (866) 427-4422. IAS is actively seeking and retaining contract technical assessors and experts that have experience in auditing the quality and technical processes of laboratories, inspection agencies, building departments and product certification agencies. Knowledge of ISO/IEC 17025 (testing and calibration), ISO/IEC 17020, ISO/IEC 17065, ISO/IEC 17021, measurement uncertainty, proficiency testing and IAS accreditation criteria is preferred. For more information or to apply, click here.